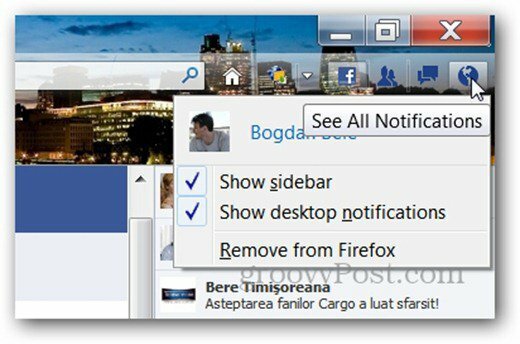 Good news for Mozilla Firefox users that also use Facebook. Firefox now integrates the Facebook Messenger, so you can chat without leaving your current tab. 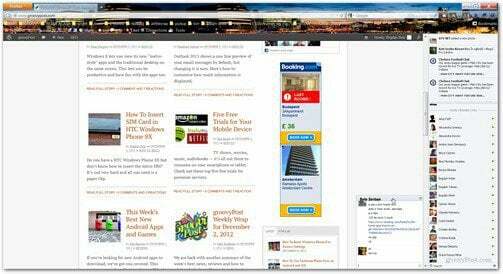 Good news for Mozilla Firefox users that also use Facebook. 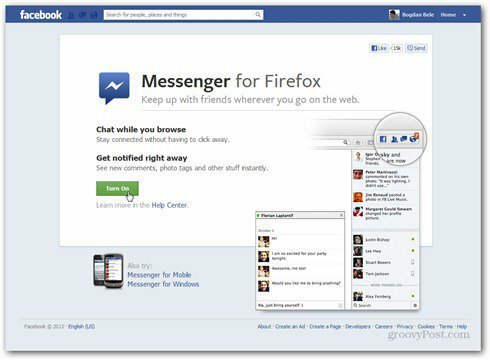 Firefox now integrates the Facebook Messenger, so no matter what you do on the web, you can chat without leaving your current tab. To activate it, go to this Facebook page in Firefox 17 — the latest updated version — and click Turn On. 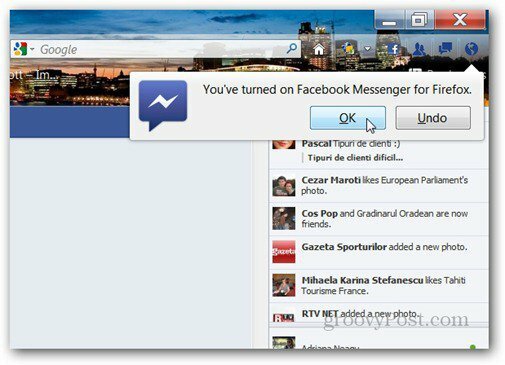 You’ll get a notification about the Facebook Messenger for Firefox being turned on. Now, no matter which site you visit, you’ll have the Facebook sidebar, allowing you to chat with your Facebook friends. Just as you would on the Facebook website. The top side also gives you notifications of your friends’ activity. It’s also worth mentioning that you get some new buttons near the Firefox address bar. Here you can manager friend requests, Facebook messages and notifications. That’s also where Facebook chat for Firefox can be disabled. The experience itself is not different of the one on Facebook. The only problem I can see with it is taking up some screen real estate on laptops that have small screens. 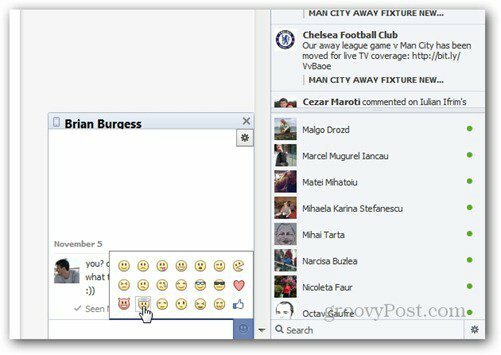 For that situation, you can always use Facebook chat on Skype or the Windows Facebook app.